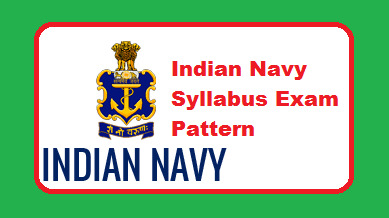 Indian Navy Syllabus 2019 Download, nausena-bharti.nic.in Sailors SSR, X, Y Group Previous Paper, Exam Pattern 2019. Here All eagerly waits for the Indian Army SSR advertising, all over India for candidates is an important notice. Indian Navy sailors recruited for positions at the end of SSR notified and is to fill all available vacancies. www.nausena-bharti.nic.in is present in the official website of the official advertising are interested can check their eligibility, all the candidates. The last dates for the exam are applying, 2019 all candidates involved in setting the paper pattern and paper for the course is seen on 6 December to submit the online application form. We here in the page with all the direct download links for your convenience sailors of Indian Navy Syllabus 2019 and exam pattern are provided below, to help you. Indian Navy back in the British Merchant Shipping was established in 1612 to protect the Honourable East India Company can trace its descent to the sea. Navy's primary objective is to secure the country's maritime borders, including disaster relief India joint exercises, port visits, and humanitarian missions, through its international relations to increase its naval uses. In recent years, currently in service in the Indian Navy to replace its aging equipment has undergone rapid modernization, this time its position in the blue waters of the Indian Ocean region to develop capabilities and to enhance India's drive " is seen as part of India Government. Navy Medical Test will be Organised by authorized Navy military doctors as per medical standard prescribed in current regulations applicable to sailors on entry. Minimum height 157 cms for selection. Weight and Chest should be proportionate. Minimum Chest expansion of 5 cms. The Aspirants should be in good physical health and other Mentally, free from any defect likely to interfere with the highly effective performance as well as war conditions as per Navy Order (Special) 01/2008. Physical World and Measurement, Kinematics, Laws of Motion, Work, Energy and Power, Motion of System of Particles and Rigid Body / Gravitation, Mechanics of Solids and Fluids, Heat Thermodynamics, Oscillations, Waves, Electrostatics, Current Electricity. Relations and Functions, Logarithms, Complex Numbers, Quadratic Equations, Sequences and Series, Trigonometry, Cartesian System of Rectangular Coordinates, Straight Lines Family of Straight Lines, Circles. Passage, Preposition, Correction of sentences, Change active to passive/passive to active voice, Change directly to indirect/indirect to direct, Verbs/Tense/Non Finites, Punctuation. The written examination for the Indian Navy Sailors SSR Recruitment 2019 will be Organised on four different subjects or papers and the features of the paper will be as follows. The Navy question paper divided into four papers on English, Science, Mathematics, and General knowledge. The question paper will be based on 12th class. Indian Navy was able to work up a well-balanced and cohesive 3-dimensional force, and efficiently protect our national interests on the surface of the oceans. Such WNC, Eastern Naval Command and Southern Naval Command Flag Officer Commanding-in-Chief of the three orders are each in control. Indian Navy Navy Department annually organizes various posts. Recently the Indian Navy completed before the final date for these positions can apply to join the Indian Navy Sailor Recruitment 2019 candidates who wish to continue the course of 2019, the SSR has announced notification. Nausena Bharti Senior Secondary Recruits 02/2019 batch of sailors to fill vacancies is inviting applications from eligible candidates. For more information, candidates can check the official website www.joinindiannavy.gov.in.